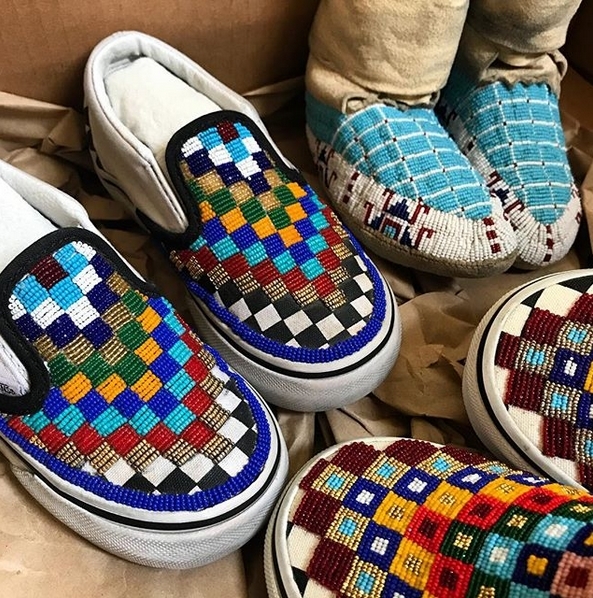 And the shoes didn't just wow others — they gave Charlene's son a chance to "express his tribal identity" and partake in the usual kid antics (like running around), and he was proud to show them off. "It wasn't entirely traditional but a modern adaptation in helping him expressing his culture," she tells Teen Vogue. 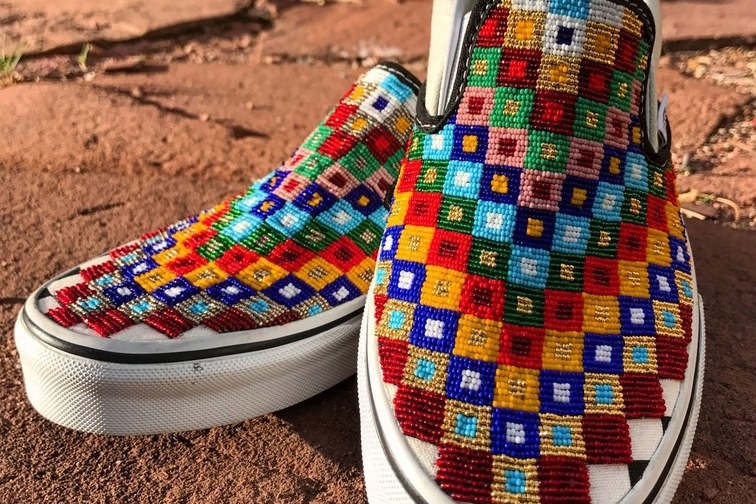 After the photos from the festival were posted on social media, Charlene started getting contacted by people wanting her to make them shoes as well, and that’s when it took off. On her website, Charlene shows examples of already-completed custom orders, each with their own unique spin, alongside stunning hand beaded jewelry that's also available for purchase. Her current pieces stem from Charlene's original work as a Native artist creating dolls and figures with a historic background, in which she used traditional Lakota beadwork. 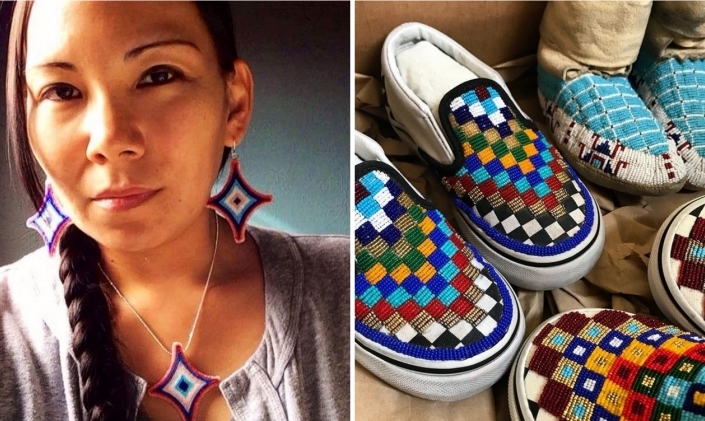 "I feel that I am continuing the process while establishing a Native unique aesthetic, as well as communicating Native survival and commitment to showing that," she says. 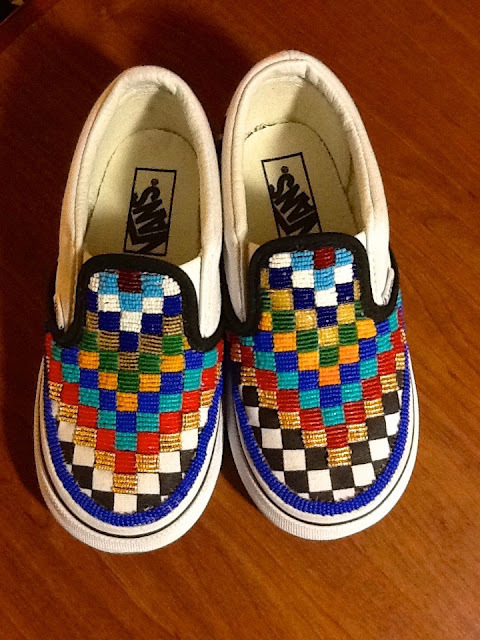 "In this case, I expressed it in beading a pair of slip-ons. There is a historical tradition design that I used specifically for the Vans based off Lakota moccasins." 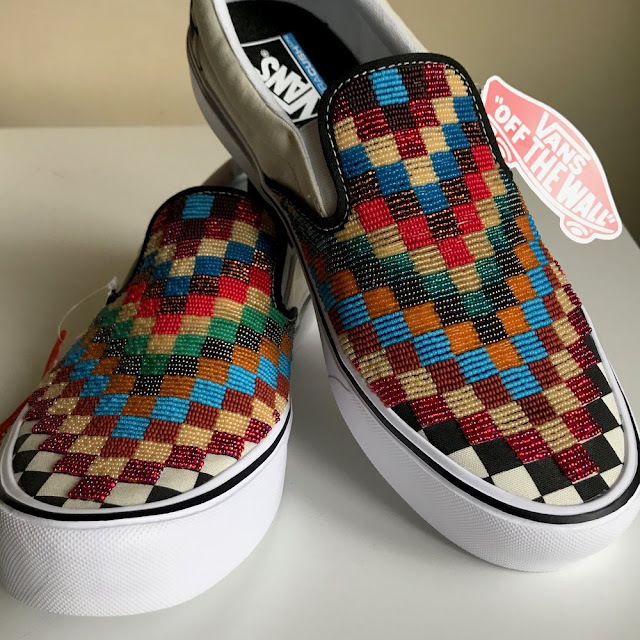 Responses to "Meet the Lakota Designer Who Turned Vans Into Custom-Beaded Art"
I think u have nice contemporary ideas. 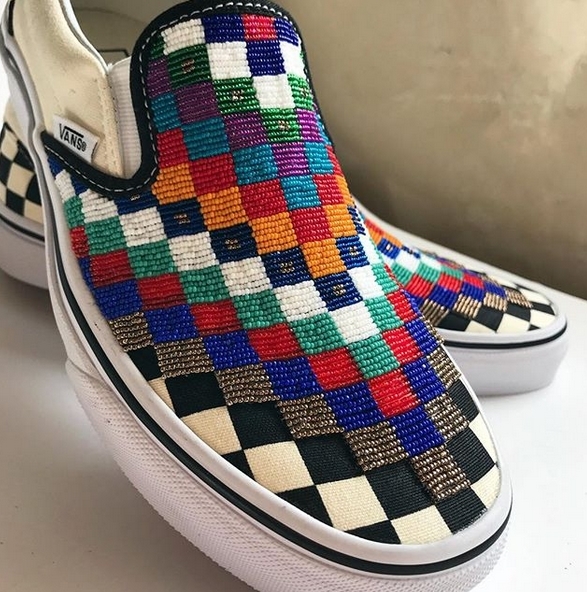 Just a thought, did u ever see the fully beaded moccasins that are made in China? To get anywhere in mass production, a bead machine would be needed. I have no idea where to even start looking for one but what do u think? If I had a boyfriend that was a engineer, I'm sure one could be invented. They would still b authentic but think of the $ that would be produced? Can you post a link to order if she doesn't take orders, can you post that so we know?